By descending down into the depths of the soul, and not primarily by a painful acquisition of many manual skills, the artist attains the power of awakening other souls. “Art therapy is a mental health profession in which clients, facilitated by the art therapist, use art media, the creative process, and the resulting artwork to explore their feelings, reconcile emotional conflicts, foster self-awareness, manage behavior and addictions, develop social skills, improve reality orientation, reduce anxiety, and increase self-esteem, among other goals,” writes the American Art Therapy Association (on this page here). What I’ve noticed about my classmates in the Southwestern College M.A. in Art Therapy/Counseling program is that many, many of them are or were artists (and some have been for many years), although others have met the art prerequisite requirements yet don’t consider themselves artists. Some classmates were art teachers prior to entering graduate school to become an art therapist and counselor. Others were fine artists, powerfully skilled in portraiture, whether oils, graphite, or mixed, media, some with long careers. Others were preschool teachers or worked in the mental health field, often working with children, military veterans, or other individuals seeking transformation. 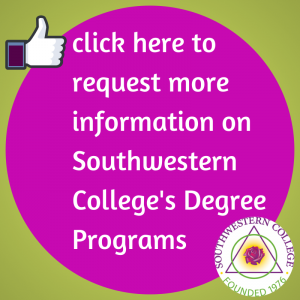 The Southwestern College M.A. 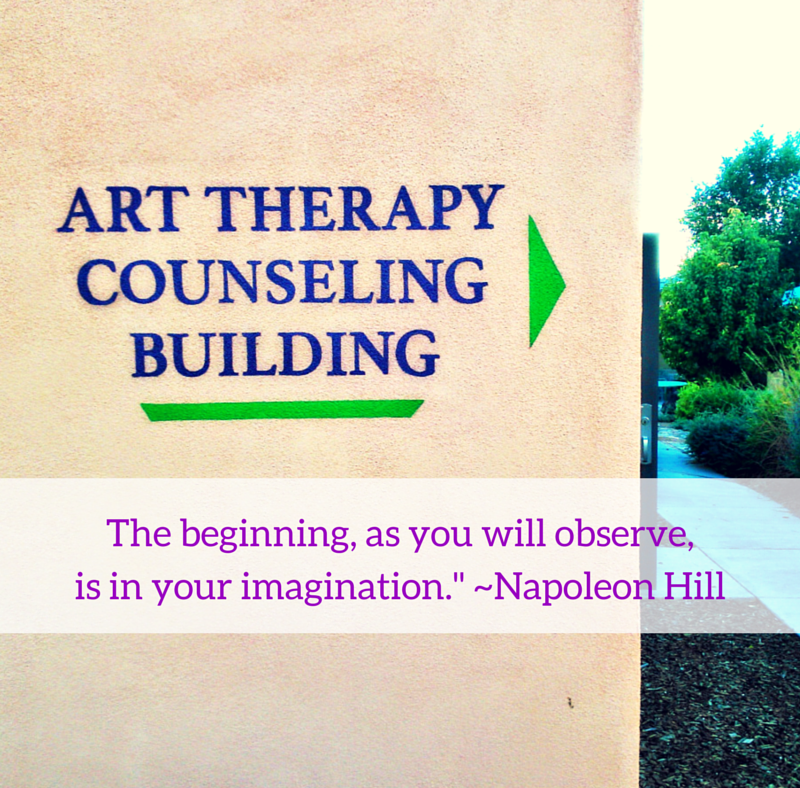 in Art Therapy/Counseling program has been an American Art Therapy Association Approved Program since 1998. Second Acts, entering the Art Therapy/Counseling or Counseling program from another field or life path, are not uncommon for incoming SWC students. Red and yellow, black, and white, we are precious in SWC’s sight. Diversity, in gender, heritage, religious preference, age, socio-economic status, and in every other way, is important here. SWC actively seeks to create a diverse population, among students, faculty and staff. Peers here also have a deep abiding commitment to both the development of their own psyche, expanding consciousness through their personal Soulful art-making process, and own integration and individuation, as well as facilitating positive transformation in the lives of others in a professional therapeutic capacity. All of my classmates share one thing… a heartfelt commitment to positively transforming consciousness and lives through the healing power of art therapy, backed up by the intelligence and drive to do so and the willingness to get the cutting edge training and education at—what I believe is—the absolute best graduate art therapy and counseling program in the US or abroad. Graduates of SWC also find success, 86-87% of students in the last two years graduated (within three years of entering) and 93% are employed post-graduation (and 98.6% pass the licensure exam)! Home really is where the HeART Therapy is, for me anyway. I’ve been here since 2014.